CAMRA campaigns for real ale, real pubs and consumer rights. We are an independent, voluntary organisation with 80,000 members and have been described as the most successful consumer group in Europe. CAMRA promotes good-quality real ale and pubs, as well as acting as the consumer’s champion in relation to the UK and European beer and drinks industry. For more information visit www.camra.org.uk and join us today. hctcreative has been called one of the design industry’s ‘best kept secrets’. We prefer to work by referral and this has helped us achieve an enviable client base. hct works in a variety of markets including food and beverages. Our philosophy is simple: to provide the highest quality design and advertising at a surprisingly sensible price. Visit hctcreative.com for further information. Over the last 25 years, Small beer has built up a reputation of one of the country`s leading cask ale wholesalers.From humble beginnings of a real ale off licence in Lincoln, Tony and Judith Eastwood have built the business into the longest established cask ale wholesaler in the country. The company deals with most national, regional and micro brewers offering a distribution network over much of eastern England and nationwide for beer festivals.Small Beer supplies most of the established real ale free houses in this trading area along with pub groups such as Punch, ,Tynemill, Fitzgeralds, Head of Steam, Pub People Co, Market Town Taverns as well as sourcing guest beer schemes for regional brewers such as Batemans. 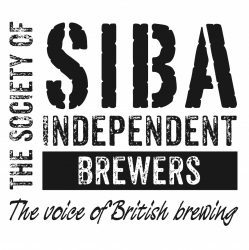 Through their dedication to quality and service, Small Beer is an important route to market for SIBA brewers new or old. The Guild is supported by brewers, pub companies, and many suppliers associated with the brewing trade. They, too, are listed in our corporate members page. Beer is a subject extraordinarily well served by its affiliated journalists, in whatever media they operate. The quality of writing of beer journalists and the broad social canvas open which they sketch are remarkable. The Guild’s hope is that the public is given every opportunity to learn this and first hand from its members – and that the public can read, listen and view as frequently as possible how beer is flourishing in Britain today.